Obesity is an important public health concern and is directly related with chronic noncommunicable diseases that affect the health of millions of people around the world. 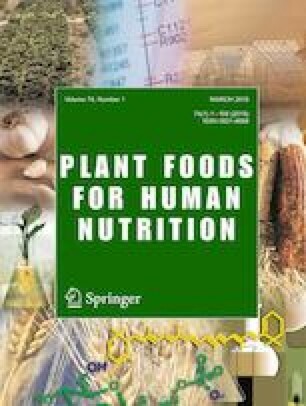 This study was held to verify the short-term effects related to the consumption of freeze-dried red beet leaves on biochemical and anthropometrical parameters of volunteers with overweight/obesity and dyslipidemia. Participants (n = 36) were divided at random into two groups. The control group (CG) received nutritional guidance only, and the intervention group (IG) received nutritional guidance and consumed 2.8 g of freeze-dried red beet leaves for four weeks. Biochemical tests and anthropometric measurements were collected, before and after intervention. The distribution of the characteristics between groups was similar. Parameters related to body weight and body mass index (BMI) had a significant reduction in the two groups (p = 0.05). Significant reduction on LDL-cholesterol was found only for the IG (p < 0.01). These data suggest a potential effect of consumption of red beet leaves on the health of individuals with overweight or obesity. The online version of this article ( https://doi.org/10.1007/s11130-019-00730-0) contains supplementary material, which is available to authorized users. Our thanks to the nutritionist Marcela Calsa and to the Outpatient Specialty Clinic of the state of São Paulo / Limeira / UNICAMP. This work was supported by research FAPESP grant (process 2016-06457-0). CAPES grant (Finance Code 001).